We could be in for a very, very busy weekend for NHL teams. With just four days left before the trade deadline and countless names still in play, buckle up. The Drouin sweepstakes are only really starting to ramp up as the trade deadline looms. While the focus seems to be on the presumptive frontrunners St. Louis, Ottawa and Anaheim (the three teams I named the day Drouin's trade request went public), a few sleeper teams are lurking in the weeds: the Hurricanes, Jets and Red Wings. The Jets are going to take one last swing at getting their captain re-signed, and then it'll be time to make a trade. If Ladd goes some time in the next 24 to 48 hours, expect a crazy weekend of trade activity. 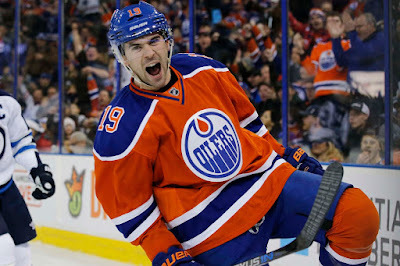 Ladd getting traded could be the move that gets the trade market going. The Panthers seem like the frontrunners, but the Blackhawks, Ducks and Kings are among those in the mix. Several contenders are frantically trying to make cap space ahead of the real action this weekend and Monday. The Red Wings, Capitals, Blues and Blackhawks are all hoping to move out salary before the big names start getting traded. The Capitals may be looking to move Brooks Laich's salary out, the Red Wings want a defenseman off the books (Kindl, Quincey? ), and the Blues may try to move Patrik Berglund or Carl Gunnarsson. The Blackhawks are obviously trying to move out Bryan Bickell, and are hoping to use that cap space to go after big fish such as Canucks winger Radim Vrbata, the Jets' Andrew Ladd and Hurricanes forwards Eric Staal and Jeff Skinner. The Leafs' PA Parenteau and Carolina's Kris Versteeg are rumoured as backup plans. It's well known they're after players who can slot in at left wing on the top line. 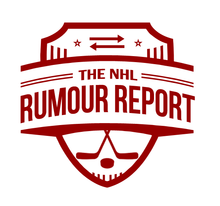 Like the NHL Rumour Report Facebook page and follow @NHLRumourReport on Twitter for more NHL rumour updates.